Ready to advance your career? Become BMSC-certified today! Credentials are earned by taking an examination that tests a candidate's knowledge of the subject matter, as well as his or her ability to accurately apply the knowledge in a workplace setting. Select the exam below and click "Add To Cart" to proceed with the exam registration. 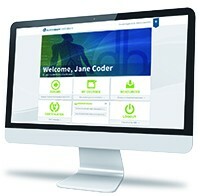 The Board of Medical Specialty Coding & Compliance (BMSC) is the credentialing arm of the Association of Home Care Coding & Compliance (AHCC), an education and training division of DecisionHealth, LLC. Currently, BMSC offers four home health professional credentials and three certificate programs. BMSC’s mission is to lead coders, clinicians, and compliance professionals in advancing their professional practice and standards in the delivery of quality diagnostic coding, accuracy of OASIS data set collection, and adherence to official rules and guidelines. Identify yourself as a leader and gain respect in your medical coding or clinical profession by becoming certified by the Board of Medical Specialty Coding & Compliance. Advanced certification produces higher salaries for medical coders and will help you work more effectively within your industry. All BMSC credential holders receive a complimentary AHCC basic membership! To learn more about the AHCC Basic and Premium Membership levels, please click here. 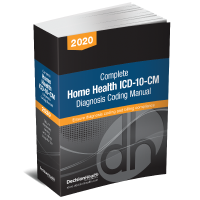 The Home Care Coding Specialist—Diagnosis (HCS-D) credential is earned by professionals skilled in classifying medical data from home health patient records. Coding specialists review patients' records and assign numeric codes for each diagnosis. Successful HCS-D candidates will possess expertise in the application of ICD-10-CM conventions and guidelines and should be knowledgeable in medical terminology, anatomy/physiology, disease processes, pathophysiology, and pharmacology. The Home Care Coding Specialist-Hospice (HCS-H) credential is earned by professionals skilled in classifying medical data from hospice patient records. Coding specialists review patients' records and assign numeric codes for each diagnosis. Successful HCS-H candidates will possess expertise in the application of ICD-10-CM conventions and guidelines and should be knowledgeable in medical terminology, anatomy/physiology, disease processes, pathophysiology, and pharmacology. The Home Care Clinical Specialist – OASIS (HCS-O) certification is held by clinicians who have demonstrated the clinical skills and judgment necessary to assess a patient’s condition correctly. HCS-O credential holders are healthcare professionals with specialized knowledge in applying clinical assessment findings to OASIS items. HCS-O credential holders include Registered Nurses, Physical Therapists, Occupational Therapists, Speech Language Pathologists, Coding Specialists, Billing Specialists, Compliance Directors, Quality Assurance Directors, Administrators, and Agency Directors. Although these individuals perform different jobs, the role of ensuring the accuracy of OASIS data is the same for all of them. To effectively ensure the accuracy of OASIS data, they must understand and apply the instructions contained in the OASIS Guidance Manual, category- specific questions and answers, and quarterly updates provided by the Centers for Medicare and Medicaid Services (CMS). The Home Care Specialist – Compliance (HCS-C) credential is earned by home care professionals skilled in establishing, implementing, and monitoring a home health agency's compliance program, specifically with state and federal regulations related to agency operations. Successful HCS-C candidates will possess expertise in understanding and implementation of written policies, procedures and standards of conduct, understanding the 7 elements of a compliance program, ability to administer standards through nationally recognized disciplinary guidelines, and knowledge of the OIG's standards.